There was a time last year when my full attention was focused on the ratings of three CW shows. Beauty and the Beast, Hart of Dixie and The Carrie Diaries were all competing for renewals and it seemed unlikely that the network would bring them all back this fall for another season run. 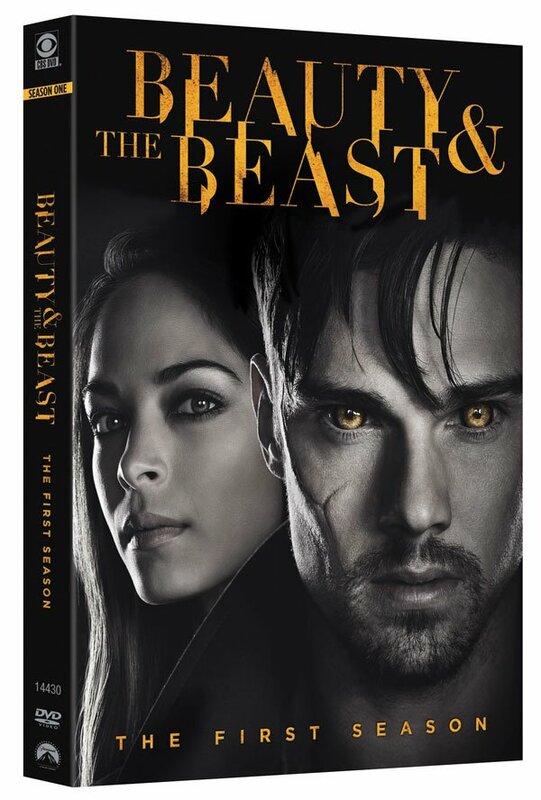 Thankfully, that’s exactly what the CW did, and if you are a fan of Beauty and the Beast or are just wanting to catch up on the detective-oriented fairytale retelling, you’ll be able to do so when CBS Home Entertainment and Paramount Home Media Distribution bring Beauty and the Beast: The First Season onto DVD on October 1. Kristin Kreuk rose to fame in another of the network’s shows, Smallville. In Beauty in the Beast she stars as Cat, a detective with the New York Police Department, who joined several years after witnessing the brutal murder of her mother. At the time, she was saved by a mysterious stranger, and when a mysterious stranger named Vincent (Jay Ryan) crosses her path in the present day, Cat delves into a brand new mystery that might just end up twisting into a romance. Kreuk and Roach have pretty good chemistry, and if you like the idea of lore tying into crime in a modern day setting (Grimm is another good example), you might find Beauty and the Beast to be a fun watch. The cover art for the new set features both of our main characters, and while this box art is pretty stark, it’s also a nice reminder of how the series is a modern-day tale that is nothing like what Disney gave us in animated form more than two decades ago. The press release for the Beauty and the Beast: Season 1 set mentions deleted scenes, but those aren’t officially listed in the list of extras accompanying the episodes. Still, even if that’s a mistype, there are several featurettes included with the set, one of which looks at the transformation Vincent goes through to become the Beast, which is one of the best examples the show has to offer of special effects. You can pre-order the set over at Amazon or check out the list of extras, below. Audio Commentary –Executive Producers Jennifer Levin and Sherri Cooper reflect on the pilot episode. Season in Review: The Beginning –All-new interviews from the cast and crew.